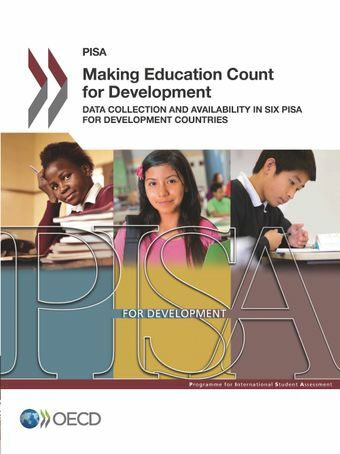 This report reviews the collection, availability and quality of system-level data and metadata on education from countries participating in the PISA for Development project: Cambodia, Ecuador, Guatemala, Paraguay, Senegal and Zambia. PISA for Development aims to increase low income countries’ use of PISA assessments for monitoring progress towards national goals for improving education and for analysing the factors associated with student learning outcomes, particularly among poor and marginalised populations. The project also helps track progress towards the international education targets defined in the Education 2030 Framework for Action, which the international community adopted in 2015 as the strategy for achieving the Education Sustainable Development Goal (SDG).The report suggests technically sound and viable options for improving data quality, completeness and international comparability in the six countries that are reviewed. It also provides insights into overcoming some of the challenges common to countries that participate in PISA for Development and to other middle income and low income countries.